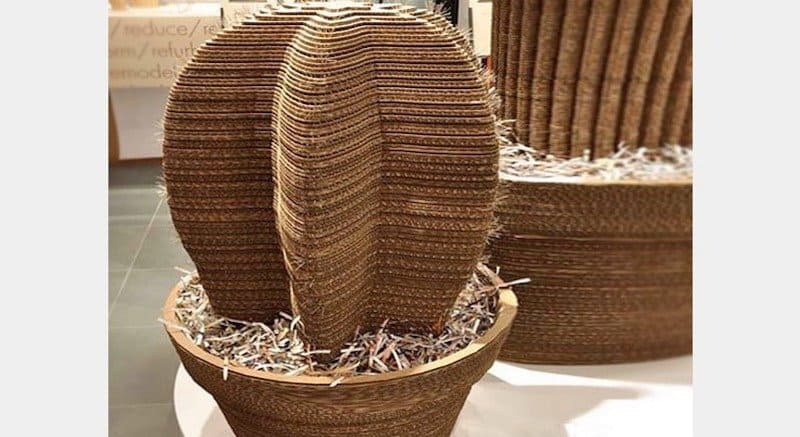 If we were crafty, this is definitely something we would make! 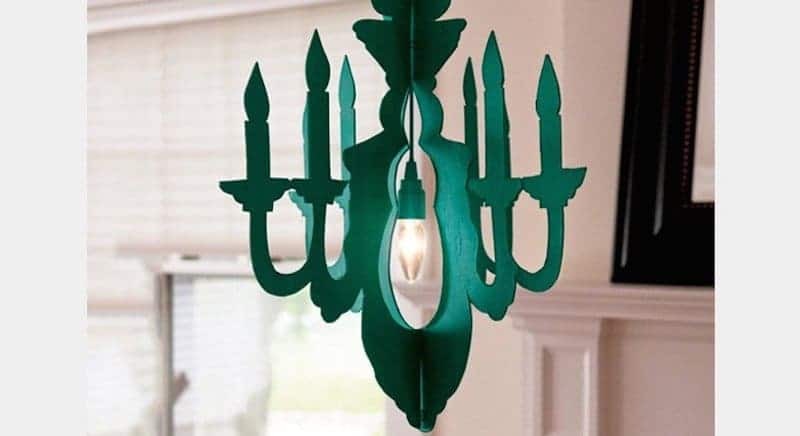 That is such a cute chandelier, but there are too many details in that and we would screw it up. 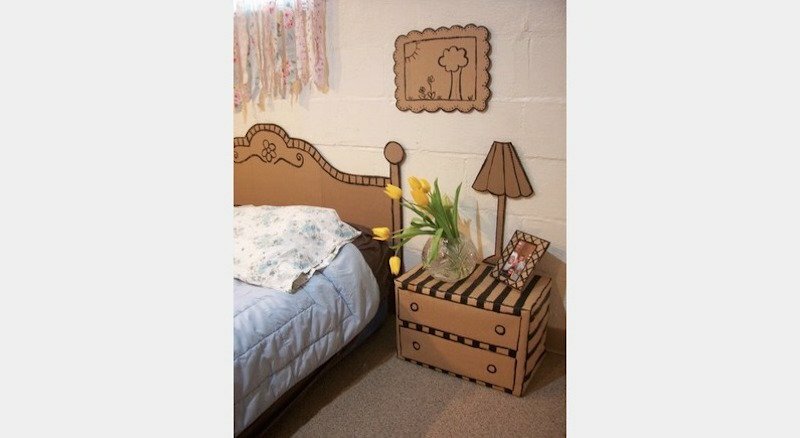 This is a very inexpensive way to brighten up your bedroom. 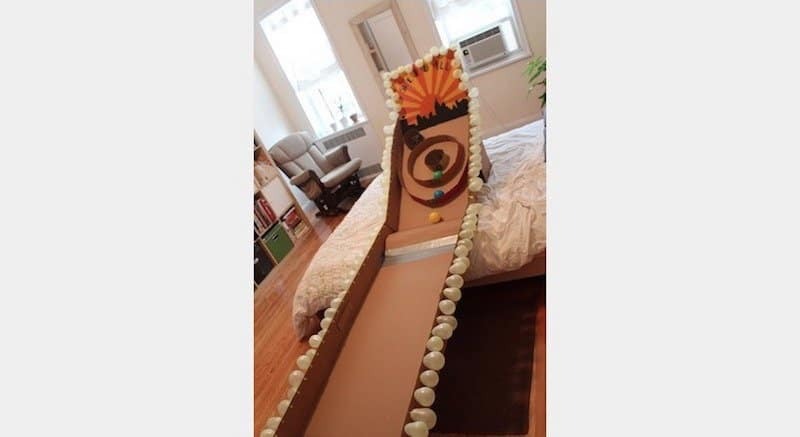 It is a cool concept, but the cardboard can’t hold the mattress, right? We love the painting on the wall. This could be a good thing for kids and for adults! 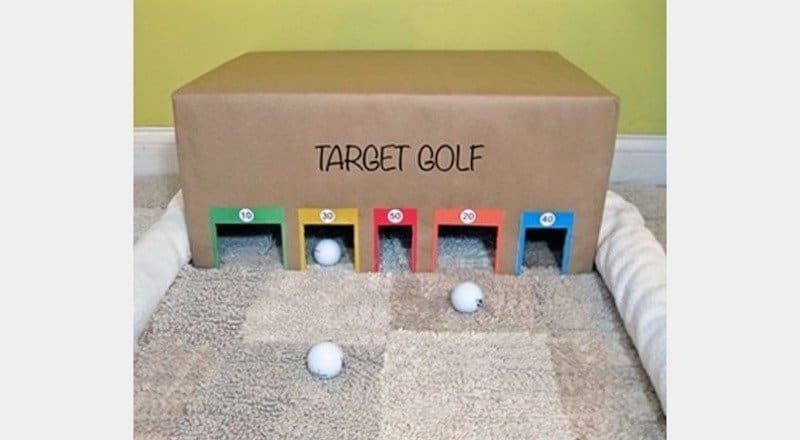 It is a fun game for the kids to play, but also allows adults to practice their putting before hitting up the golf course this summer. This takes creativity to a whole new level. 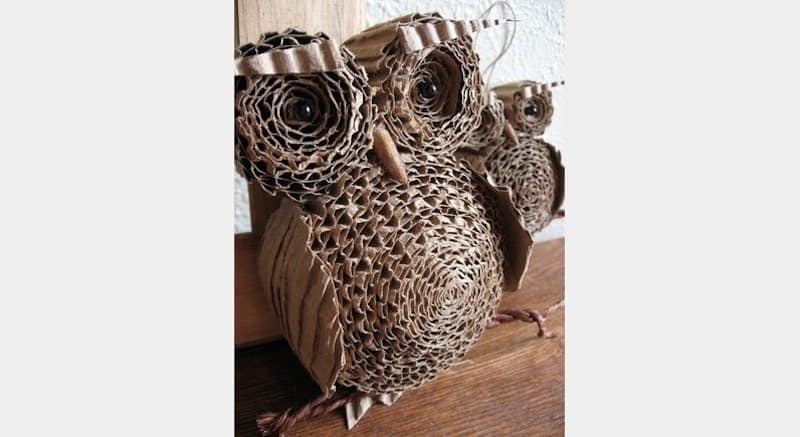 That owl is awesome and so cool to look at — you just know that took a lot of time to make! 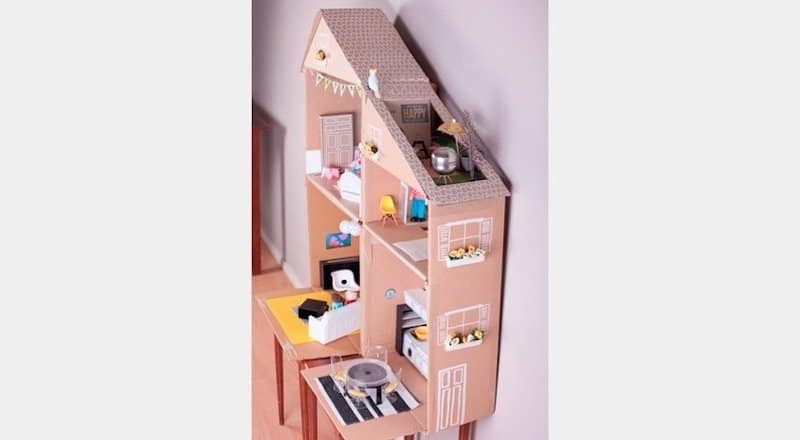 The kids see you being all crafty and using your sewing machine to make them things, so why not make them a sewing machine of their own? We love how it has all the buttons and spool of thread on top! 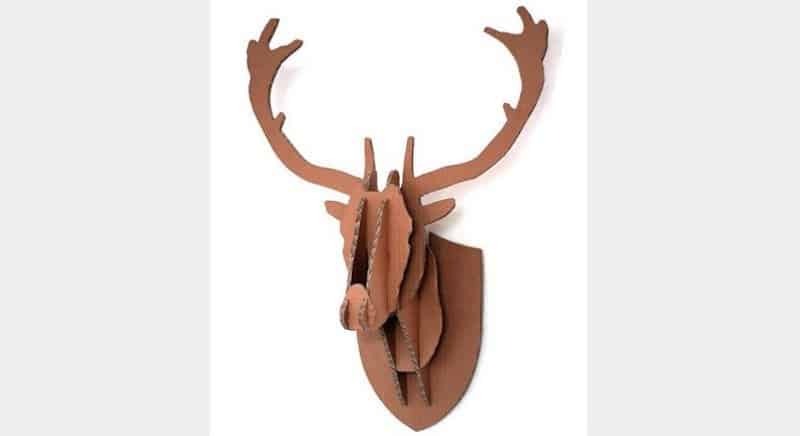 For those that don’t hunt but want to display some antlers, you can make an antler bust using cardboard. This could be a little less creepy than having a deer head hanging in your living room. If you want your stockings hung on the mantle but don’t have a fireplace, then make your own! This is simple and easy to do and can add a little pop during the holiday season. You would have to be careful not to spill any of that coffee on this table, as it would soak right in and ruin it! The table is funky though and could spark up some conversations with houseguests. 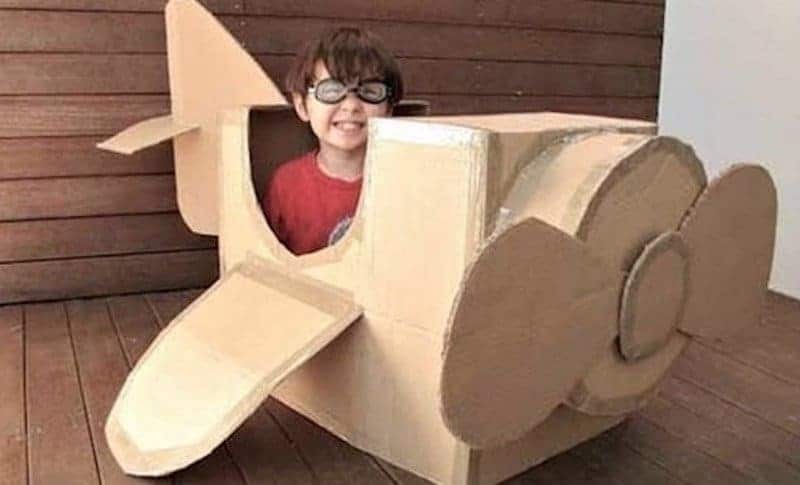 This kid seems to be enjoying his cardboard box airplane, as he is flying the skies as we type this! It doesn’t look extremely hard to make, which is a positive. 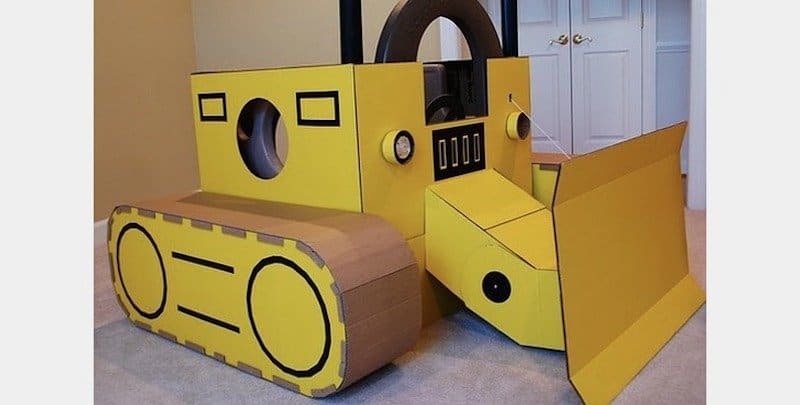 Heck, take this out of the house and prop the kids at the end of the driveway and have them start earning their keep! Whoever painted this did such an awesome job and we are sure the kids loved it. Sometimes you can keep it so simple, but it can turn out to be a very convenient thing. 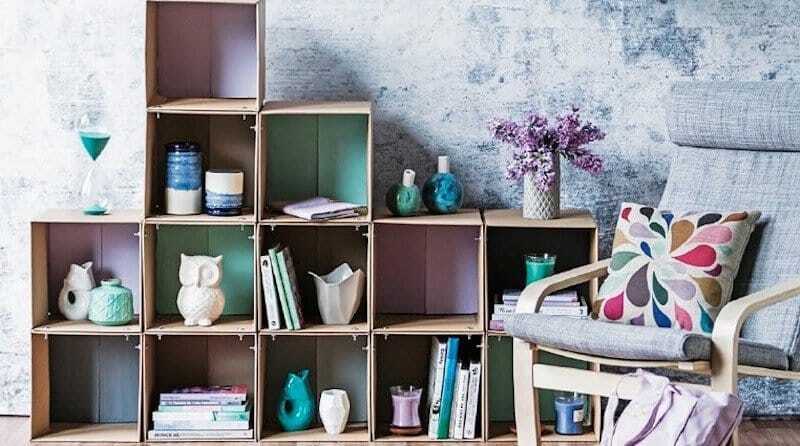 This is an easy way to add some shelf space to a room and can add a little pop of color. 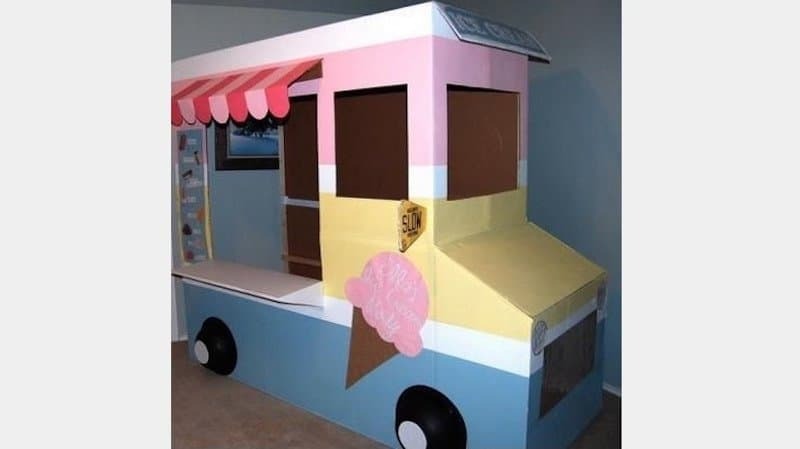 If parents decide to make this, they better get some toys to give to the winner! The kids will want those tickets to come out and they can redeem them for candy or stuffed animals. 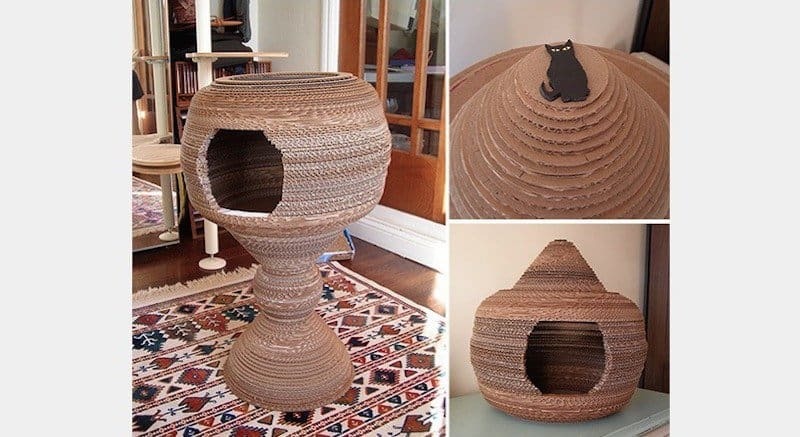 Even pets can get in on the cardboard box fun, as this cool cat bed cave is made entirely of cardboard. 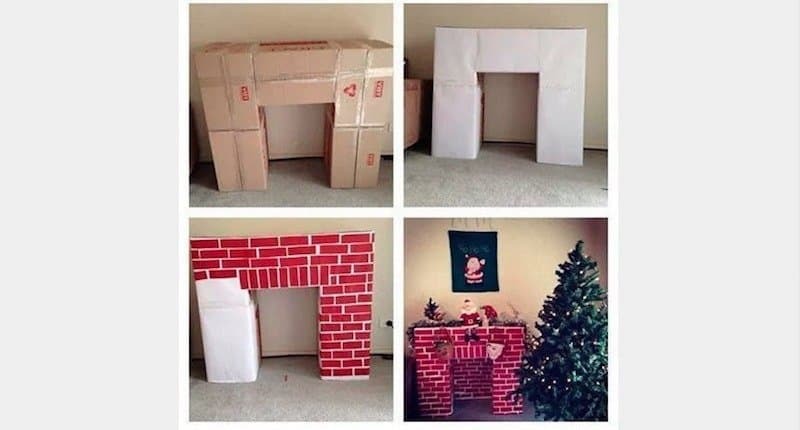 You spend a little time making it and then you might never see your cat again! This is so freaking awesome, even though kids today might not even know what it is! 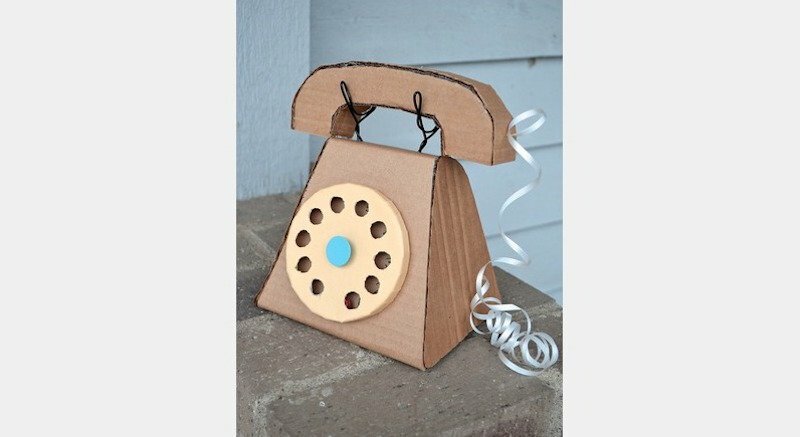 It is such a cute little thing and we love the ribbon as the phone cord. 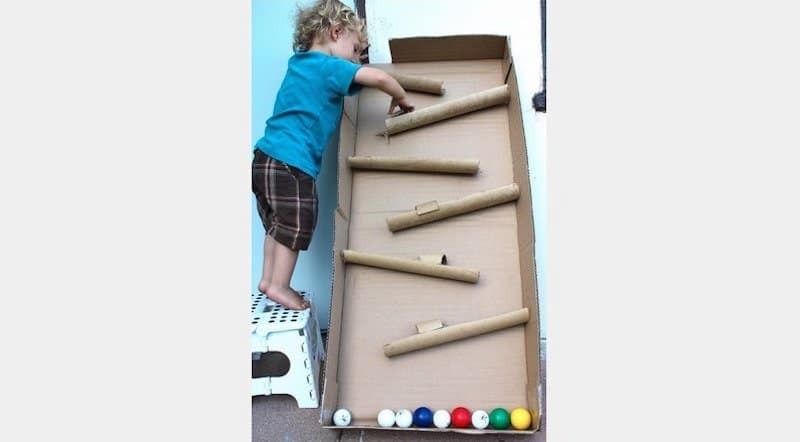 Kids love their mazes, so why not build them a big ball drop maze to have some fun with. Put the ball on top and watch it work its way down the different levels. Sure, it may look like just another house, but this is designed to be like the house from the movie Up. We shed some tears just looking at it, but we’ll be strong to get through.